Have you ever been in the situation where you want to expand or improve your company at any point and you may consider a loan? But how does you company look like from the point of view of lender and business partner? It could be frightening to invest in a business that look in a tight spot. Be aware of your corporate score could help you with your future professional relationship. In fact, having a complete and up to date information on your company corporate report with a good corporate score is the easiest way to get the best financial terms. What is the component of a corporate compliance report? The corporate report reflects a current and objective picture of how a business manages its financial obligations. Armadillo provide four different kind of corporate report. Why corporate score is important? A low corporate score could affect your business but it evolves during time so you can bump up it at any time. However, you have to be aware that it is a long process, it would not happen overnight. 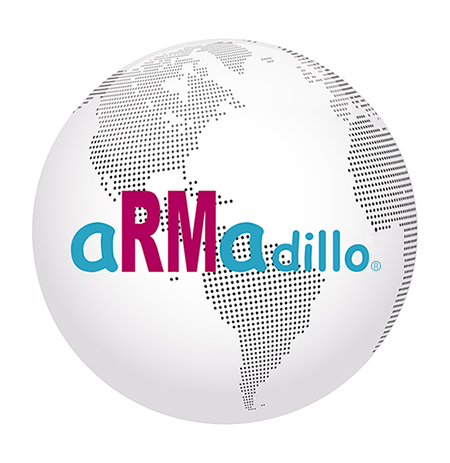 Armadillo, the world’s first web based company information database, celebrated its 20th anniversary on June 3rd. In 1995, based near Old Street roundabout in London, Emmanuel Cohen, Armadillo’s chairman started on the road to launch an online company data system. 1997 First company information online supplier to launch on the Web. 1998 First to offer Trade Mark searching on the Web. 1999 First to offer direct access to Companies House Direct. 2001 First business Database to commit complete XML delivery. 2011 First company information mobile App (featured as App of the Week by city of London magazine Shortlist and the BBC’s “Click” programme). 250 million companies from all 200 countries around the world. More than 3.2 million UK sole traders, partnerships and other non-limited businesses. All instantly available online or via their app on a transactional (credit card) or subscription basis. Using Armadillo, clients can save valuable time and money, and be compliant with all appropriate due diligence for Know Your Customer (KYC), Anti Money Laundering (AML) and everyday trading risks. One of the charges levelled at Brexit has been the likelihood of the UK becoming an offshore haven for foreign companies, the implication being that overseas investors who establish companies in the UK are motivated simply by a desire to avoid or reduce taxes. Well on occasion maybe…….. but in our experience there are many perfectly legitimate reasons for non UK residents wanting to set up UK companies. For instance the UK is recognised as being relatively incorruptible compared to certain other nations, hence there are a disproportionately high number of overseas owned companies registering with the UK’s Companies House, compared to other jurisdictions. Potential judicial corruption in some countries can force non-British business owners to register their businesses in the UK simply to guard against “share-raiding” i.e. bribery-induced shifting of ownership on the official records. Registering your company in the UK can significantly reduce this risk. That said, the benefits of owning a UK business can be just as attractive to the non legitimate as the legitimate businessman. Hence the significant due diligence that has to be undertaken by UK Company Formation Agents every time they establish a new company. Many of these checks are required to be carried out face to face or certified by a competent authority. Adherence to such processes ensures that the UK legal and regulatory system continues to hold the respect of the rest of the world. Increasingly however, individuals, whether British citizens or not, choose to form a company using the online formation process offered by Companies House. The excellent service has certain advantages in being quick, cheap and easy to use. One would anticipate that such a system would conform to all the due diligence that would apply were the company to be formed by a formation agent. But surprisingly that is not the case. Company Registration Agents are classified as Trust or Company Service Providers, subject to audit and inspection to ensure that they are performing all this necessary due diligence. They have to be registered with HMRC or SRA if they are a legal firm. However, since Companies House is not considered a commercial provider of these services it is not required to subject users of its online registration system to this same due diligence. This applies whether the users, founders of these new companies, are based in the UK or abroad. Analysis shows that around 20,000 companies a month are formed using Companies House Direct which means some 240,000 per annum are being formed without any due diligence whatsoever. This equates to 40% of the total number of companies formed per annum and the percentage is growing. Whatever your view of Brexit it is probably a reality that the demand for UK registered companies from those outside of the UK will also continue to increase. But the door has been left open for illegitimate business people in the UK and beyond to swerve all the due diligence required from Company Registration Agents. This issue has been raised with Companies House by the industry and others. It is now high time for this loophole to be closed. Tracing its roots back to 1844, Companies House has long been responsible for ensuring that limited companies file all relevant documents about their businesses and for making that documentation publically available. It is one of the great trade offs of modern capitalism: in exchange for the great privilege of limited liability, companies allow transparency of their ownership and financial affairs. Most of the types of documents available for UK companies are well known and well understood, Annual Accounts, Annual Returns, Confirmation Statements, Memoranda and Articles of Association, Mortgage Documents etc. However there have always been more obscure documents for more niche applications. Chief amongst these is the Certificate of Good Standing (CGS), also known as Certificates of Authorisation, Certificates of Existence or Existence Certificates. Whilst sounding a little archaic, these certificates have long provided a valuable service to the British business community working internationally. CGSs are used to prove that a company is incorporated and authorised to undertake business in a particular jurisdiction, in our case the UK. Specifically they show that the company has continued to exist since it was incorporated and no action is underway to remove the company from the register. A declaration that, as far as the Registrar is aware, the company is not in insolvency, subject to an administration order and no manager or receiver of the company’s property has been appointed. However the key benefit of a CGS is to help companies looking to conduct businesses overseas. For instance setting up a foreign branch in another country will usually require a CGS to be tendered to the authorised registrar in that country. By indicating that the company is fulfilling its regulatory responsibilities, the certificate will show that the company is certified and well organised, and thus give confidence to potential suppliers, clients and other concerned parties. The use of CGSs between member nations of the EU has declined as open access to documentation has increased. However business dealings between non EU and British companies have long been facilitated by CGSs. They are often a requirement in foreign contracts. It is a real possibility that when the UK leaves the EU our former partner nations in that organisation will resume their requirements for a CGS when dealing with British businesses. In theory a CGS can be demanded for any company listed in the database of Companies House. The demand can be refused for certain reasons such as the company’s accounts or yearly returns are not up to date. Strangely, however CGSs now seem to have become even more elusive. Towards the end of last year requests were met with the response that no more would be provided. Searching for Certificate of Good Standing on the web still leads one to the Companies House website but it is no longer possible to find any information about how to obtain them. At the last two Companies House user group meetings, Armadillo Chairman and CEO Emmanuel Cohen has asked why it is no longer possible to obtain CGSs, and was told that Companies House was no longer going to provide them..
With Brexit looming it would seem that anything that can help British businesses to thrive overseas should be cherished. Preparation needs to be in place for the increasing focus on dealing outside of the EU and for regulatory change within the EU. The latter in itself may cause an increase in requests for these certificates. Whether used by EU member states or throughout the rest of the world CGSs facilitate the purchase of property and the signing of import and export deals. If the Certificate of Good Standing is a casualty of Companies House cost cutting the timing is, to say the least, unfortunate. This unexplained change threatens to leave UK businesses ill prepared for the challenges and opportunities associated with Brexit. The Cayman Islands is a British Overseas Territory, comprising three islands in the western Caribbean. Best known for beach resorts, scuba diving, snorkelling sites, deep-sea fishing, endangered iguanas, red-footed boobies and corporate secrecy. To date only limited information has been available about companies registered in this Caribbean idyll, typically a brief summary of registration details. UK government’s requests to a number of British Overseas Territories to develop fully public registers of ownership have traditionally been met with reluctance by the government of the Cayman Islands, concerned about the privacy of beneficial owners. Now however there are plans to introduce a beneficial ownership register that seeks to strike an acceptable balance between transparency and privacy. The UK government has accepted the compromise proposed by Cayman. The forthcoming legislation will require certain Cayman Islands companies to be included on the UBO (ultimate beneficial ownership) Register. It will list those who ultimately own or control more than 25 per cent of the equity, or voting rights or have the right to appoint or remove a majority of a company’s directors or LLC managers. Intermediate holding companies, through which other companies may be held, may also be listed. The proposed system will allow the UK government, and other foreign authorities and Cayman domestic bodies with agreements in place, to access a UBO Register, via a Competent Authority i.e. any person or organisation that has the legally delegated authority to perform this particular function. The register will not be publicly accessible, unless and until such access becomes an international standard. So, one small step forward for law enforcement agencies in their fight against tax evasion and money laundering, but no great leap forward for those businesses involved in international trade who need to Know Their Customers. One wonders whether such a regulatory regime has a more or less promising future than the boobies and the iguanas. 1977 was, like most, a year of mixed fortunes. While Elizabeth II celebrated her silver jubilee and Star Wars was released, it also saw the deaths of Elvis Presley and Charlie Chaplin. But for Emmanuel “Manny” Cohen, 1977 is remembered as the year he started in business – making 2017 his ruby jubilee. And it’s through business information that Manny is associated with Bureau van Dijk. His company document retrieval service – built and maintained by aRMadillo, a company he owns and chairs – has been a feature of Orbisfor several years. But for our latest Orbis release, which went live last month, we’ve reengineered it, making it more prominent, accessible and easier to use, something that Manny sees as a “really exciting development”. To discuss aRMadillo’s offerings and find out more about the man behind them, I met Manny at our offices a few weeks ago. The first thing that strikes me is how young he looks for someone with such a long professional backstory. You must have started when you were barely out of school, I suggest. Technology moved on to disks and then online but Manny had long since risen in the company, focusing – among other things – on building a team that would deliver a super-fast and reliable reports-on-demand service. You can order documents directly from aRMadillo. But users of Orbis, our database of around 220 million private companies across all countries worldwide, can order documents through our platform. This keeps their research processes in one place, making things run more smoothly. Charges apply only for the documents requested. The Document ordering module is available from Orbis’s Tools page. Through this module, you can obtain documents such as annual reports, shareholders’ details, certificates of incorporation, and so on, for any company you are researching. A crucial point to note is that in certain types of compliance and third-party due diligence, researchers must obtain copies of original documents. This is one of the main things that this module delivers – and, according to Manny, it safeguards against risks such as document forgery by going through an official source. What’s more, if you enter a company name into the quick search or the name search of Orbis and your chosen company cannot be found, you’re prompted to use the Document ordering tool as an option. Given the many millions of companies already on Orbis, catering for that pool – not to mention extending beyond it – must mean that Manny has had to develop a huge and intricate network, as aRMadillo doesn’t hold these documents or scans of them itself. So, is that at the heart of Manny’s operation? Manny tells me that aRMadillo can source and supply company documents from anywhere in the world, accessing up to 1,000 registries in more than 200 countries. They can reach most jurisdictions in less than an hour, he says, assisted in part by a network of “more than 50 associated offices, a multilingual team and inhouse solicitors,” both those working in document retrieval and as part of RM Group’s own law firm. “All of our documents are sourced directly from official sources – where they physically scan the original documents – so you can be sure of their provenance,” Manny adds. It’s a tough process, as Bureau van Dijk’s own network of information providers will attest from their dealings with the many registries around the world. Manny points out that “while there’s one central registry of companies in the UK, there are 50 in the US, 28 in Brazil and 32 in Mexico,” for example. “People assume that because it’s so simple here [in the UK], it must be as easy elsewhere,” says Manny. “It isn’t.” But the company has been building this network since 1973, so it knows how to navigate the variable terrain. Of course, it might be (relatively) simple in the UK for a reason – or reasons. One of them – cultural – we discuss in our white paper, Untangling the world of private company information. But it’s also a question of necessity. And here we slip into another area of Manny’s expertise. On top of company document retrieval, aRMadillo helps new companies register themselves. It’s quite an involved process, and through his dealings Manny has made a couple of related observations: the UK is perceived to be relatively incorruptible, hence a disproportionately high number of companies registering with the UK’s Companies House; and, so he suggests, judicial corruption in many countries that he’s reluctant to name can force non-British business owners to register their businesses in the UK simply to guard against “share-raiding”. This dark practice involves the bribery-induced shifting of ownership on the official records. Registering elsewhere can significantly reduce this risk. I decide to round off with a more innocent question: why the strange typographical style in “aRMadillo”? “Well, it just looks more like an armadillo that way,” says Manny. It’s hard to argue with that. If only everything were as simple. Here’s to your next 40 years in business, Manny. Let’s catch up in 2057. 2017 is a special year for me. On January 6th, I celebrated 40 years in the industry. It has certainly been a roller coaster of a time. Always interesting, never boring. And guess what folks, I’m still at it. Am I successful? Well, life has taught me that the most important thing is family followed by friends. So if success is measured by that, then yes, I have been very lucky. I have an amazing family, great friends and many fun and interesting acquaintances. Business is always a challenge and it is coping with the unforeseen and overcoming the challenges that is the secret of success. It is a bit like bobsleigh driving, don’t worry about the last corner, prepare for the next. Bring it on!! That was great to hear since it is our 20th year as an online web company data base. At aRMadillo we devote ourselves to delivering to our clients, striving to be their leading supplier of business and financial information. To find out how we can help you to source UK or international company documents and reports please contact us. Also this month I am pleased to welcome our new Sales Director to aRMadillo. Nigel Dickinson has been in the company information industry since 1984, with 30 years experience at Dun & Bradstreet in a variety of operational, marketing, sales and senior management positions. Since leaving D&B he has broadened his experience in the industry with consultancy and interim positions at Context4, Key Note and Caterlyst. I am sure Nigel will be a valuable addition to the aRMadillo team. You can contact him at nigel.dickinson@armadillo.co.uk or 07595 779 651. Happy New Year to you from all at aRMadillo Business Information. We wish you a successful and prosperous 2017 and look forward to supporting you in your success wherever possible. Why not start the New Year with a review of your corporate document requirements. Contact us now for a free consultation. Armadillo is an iPhone and Blackburry app that let you search and download company credit reports from more than 200 million businesses in 220 Countries, having you to decide which companies are safe to do business with.